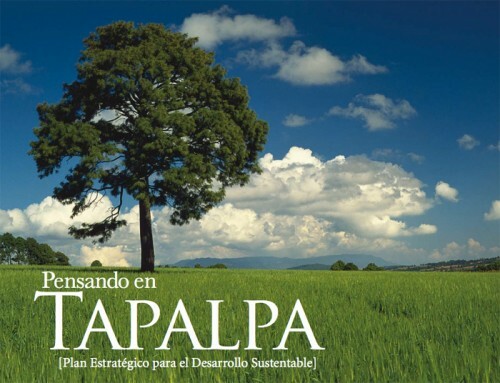 A community facing considerable population, development pressure, and land-use conflicts, Tapalpa required a basic planning framework to establish areas of urban development, agricultural productivity, tourism and forestry. 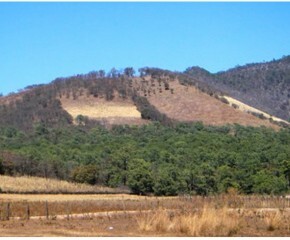 After months of field work, interviews and GIS mapping, landscape units were identified across the territory along with a diagnosis of social and environmental problems associated with them. Working together with locals, government and designers, site planning and design recommendations were proposed to foster more balanced growth across all sectors. 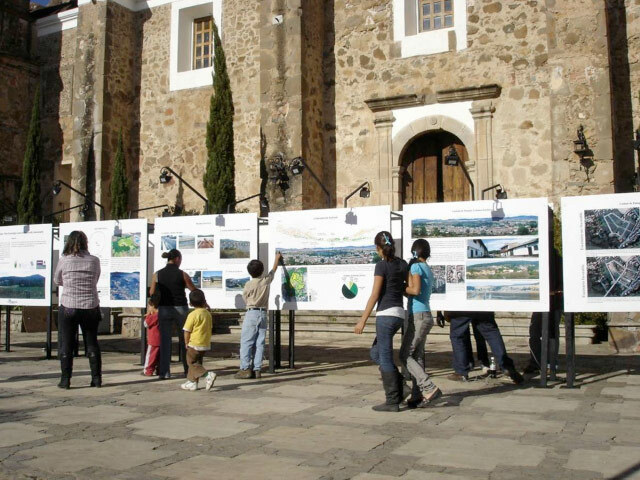 Exhibition of project poster boards in the plaza of the town of Tapalpa. Following the development of the Sustainable Development Plan, DPI Territorial worked with the local community to coordinate the implementation strategy. This included coordinating with a local Non Government Organization, the Mexican Federal Ministry of Environment (SEMARNAT), State Ministry of Sustainable Environmental Development (SEMADES), the local municipality and other groups such as a local water management board to promote the plan and assist with its self-implementation. A workshop with legislators, a series of presentations to local communities, and an exhibition in the plaza took place.